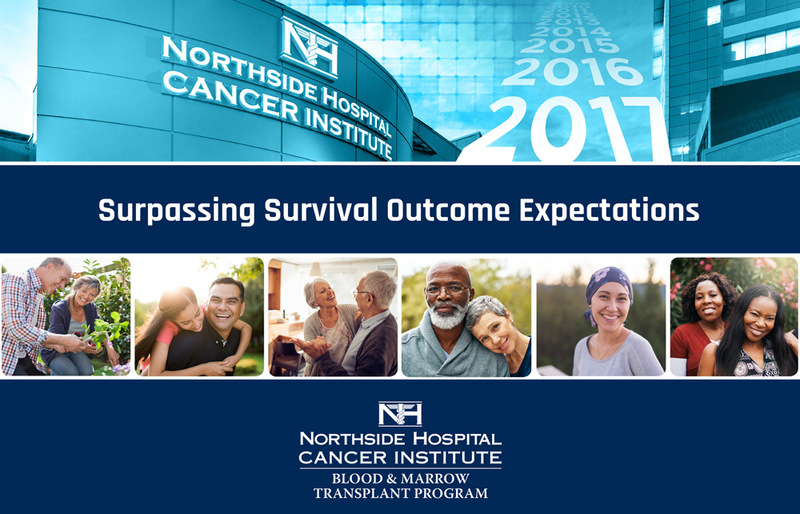 The NSH BMT Program is the only adult BMT Program in Georgia, to achieve survival outcomes that significantly exceeded the expected survival rate for allogeneic transplants for the last 9 consecutive reporting cycles (2009-2017) 1,2. Over the past nine years, we believe our commitment to quality has consistently increased patient survival rates. There were 174 adult and pediatric transplant centers included in the analysis. Allogeneic one year survival outcomes that are among the best in the nation. Physicians available 24 Hours/7 Days a week. Inpatient and outpatient transplant program. Dedicated specialty trained clinical team. Satisfaction survey results consistently above the 90th percentile for physician care, nursing care and overall hospital experience. One of 20 core clinical centers for the Blood and Marrow Transplant Clinical Trials Network (BMT-CTN). Selected participant in The Blood Cancer Research Partnership (BCRP) in collaboration with the Dana Farber Cancer Institute. Partnership with the National Cancer Institute Community Oncology Research Program (NCORP). Successful re-accreditation with the Foundation for the Accreditation of Cellular Therapy (FACT), with no clinical deficiencies noted, for the last 5 consecutive inspections spanning 2003-2015. To view our Survival Information Brochure, click here. 1. Over the past nine years, we believe our commitment to quality has consistently increased patient survival rates. There were 174 adult and pediatric transplant centers included in the analysis. 2. Final 2017 Transplant Center Specific Survival Report, December 2017.